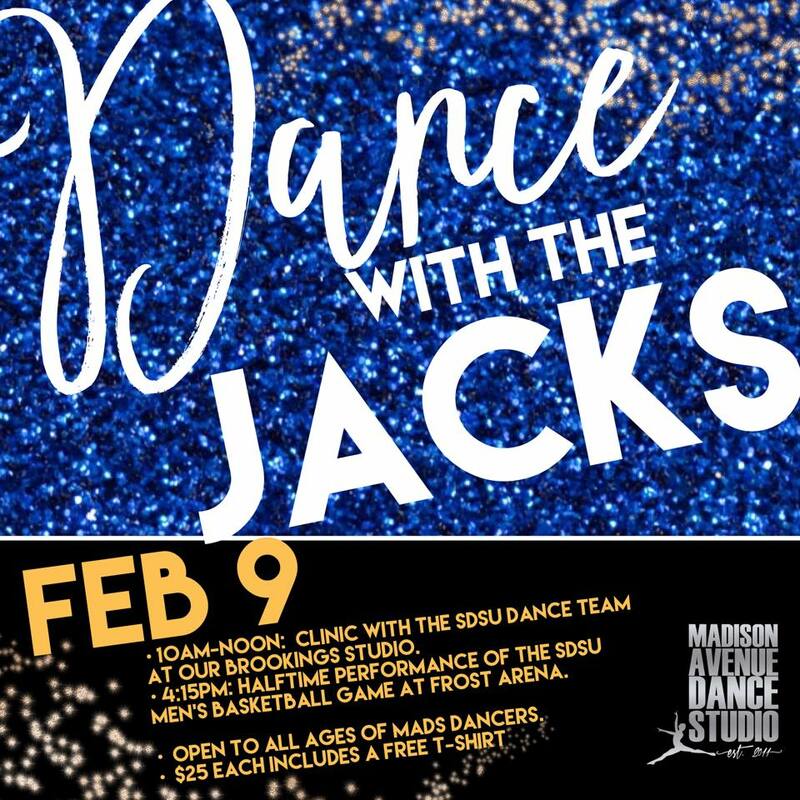 10am-Noon: Dance Clinic with the SDSU Dance Team at our Brookings Studio. 4:15pm: Halftime Performance at the SDSU Jackrabbit Men’s Basketball game at Frost Arena. Open to dancers ages 3-18yrs (must be a member of MADS to participate). Dancers will perform in groups depending on age. Cost: $25 each, includes the dance clinic, discounted game tickets for the whole family and a free t-shirt! *If you participated in our Dance with the Jacks Football event in October, use promo code ‘PINK’ for $5 off your registration. Please wear the pink shirt you received at that event for this performance as well.